Closed to Suvarnabhumi Interntional Airport and within walking distance to shopping & night life to get the mood for you to stay at our good flight home. 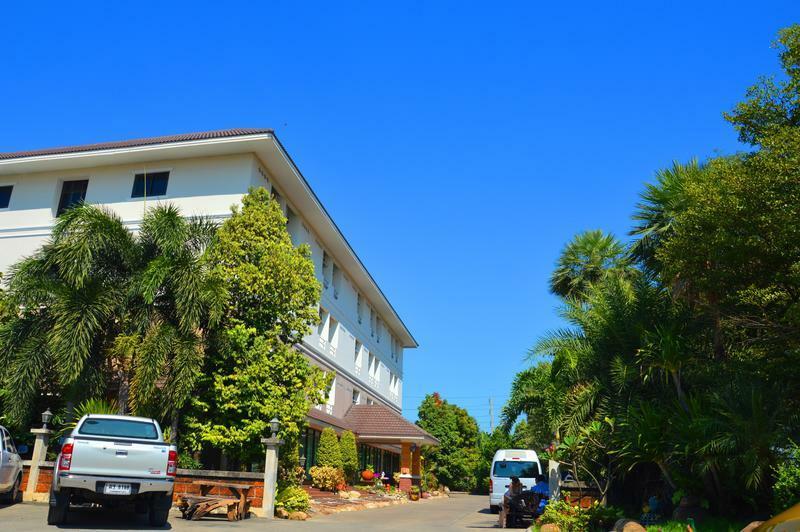 New budget hotel nearby Bangkok Airport and easily accessible to Suvarnabhumi International Airport and just a few minutes walk to shopping at Huatakhe Market. Hypermarket and the nearest 7-11 convenience store, Big C Supermarket. It is just 200 metres from the lively shops and colors at Mahanakorn Floating Market, this value for money,the hotel is an excellent choice for your stopover. Silver Gold Garden Suvarnabhumi Airport Hotel is a modern 4 storey property with 67 beautifully decorated spacious guest rooms and suites equipped with modern amenities to ensure a pleasurable stay.The hotel provides a free round trip transfer from Suvarnabhumi International Airport.Our staff wait at 2nd floor gate no.4 with hotel signboard for 24 hours.You can also take the 25 minute transfer into the bustling city of Bangkok. Despite peaceful accommodation in lush garden surrounging, while being close to Bank, Shop and Restaurants. Guest can enjoy traditional Thai massage and foot reflexology treatments at the spa. wide spread of Thai dishes and beverages. -3.5 km to Airport Rail Link take 20 minutes to Bangkok City Center. -5 km to Latkrabang train station. -35 km to bangkok city centre. -Bus station to town in front of hostel.